Healthy Eating for Children – Healthy Eating Ideas They’ll LOVE! 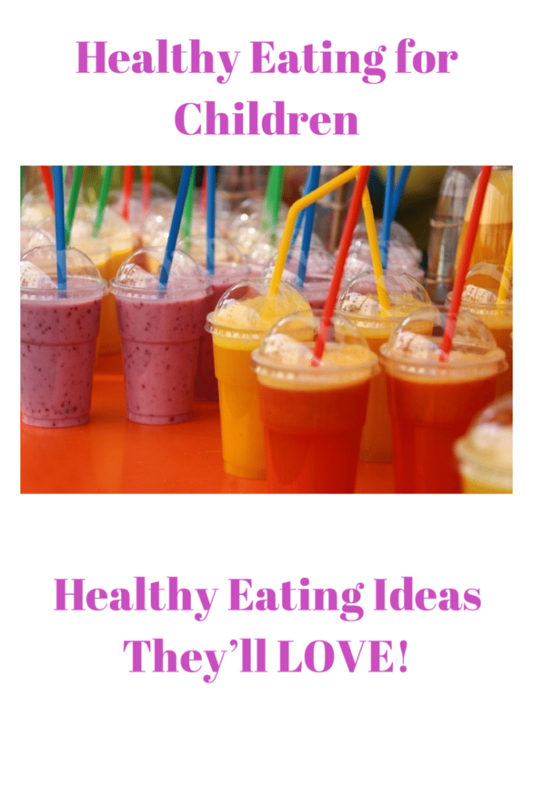 Home/News/Healthy Eating for Children – Healthy Eating Ideas They’ll LOVE! Here at Amanda’s Action Club, you know we’re all about getting children active, and encouraging a healthy lifestyle from an early age. That said, we also know that children will be children – and that most, if not all go through ‘fussy eating’ stages where good stuff like fruits and vegetables are just not as appealing as their favourite crisps or chocolate bar. With that in mind, we’ve put together some great ideas for snacks that you’ll love because they’re healthy and nutritious, and children will love too because they’re delicious! Smoothies: I’m yet to meet a child that doesn’t love a smoothie. And the great thing is, they are quick and easy to make! Just pop any fruits you like in a blender, top up with milk, yoghurt or fruit juice, blitz and enjoy! Children will love making up their own recipes – and you’ll love watching them get half of their daily requirements in one big glass! Muffins: Yes, let them eat cake! Healthy cake though! A simple muffin mix can be adapted to include all manner of fruit and vegetables. Try carrot and courgette, apple and raisin, summer fruits – experiment and be sure to get your little ones involved in the baking process! Fajitas: For some reason, most children I know love the appeal of a bit of DIY at the dinner table – and fajitas make a perfect healthy family meal. As well as lean chicken strips, chop up colourful peppers, slices of aubergine, mushrooms – whatever you have in the fridge really! Top with plenty of fresh tomato salsa and avocado and let the whole family get stuck in. Pizza: All children love pizza don’t they? And if you make your own, there’s no reason they can’t be nutritious as well as delicious. Chop up plenty of different coloured vegetables and let them go to town deciding on their own topping – they’ll love making patterns and pictures with all the different colours and shapes! Fruit Lollies: When the sun comes out, children LOVE ice lollies. So make your own and pack plenty of fresh fruit into their favourite treat! Fill a lolly mould with chopped fruits, top up with fruit juice and freeze for a delicious treat on a hot day. Don’t forget as well as eating healthy children need to be active. Download a copy of our Action Club Vol 1 album and dance along to our healthy eating song! What’s your little one’s favourite healthy snack?